Anterior Pelivic Tilt (APT) maybe the reason why. 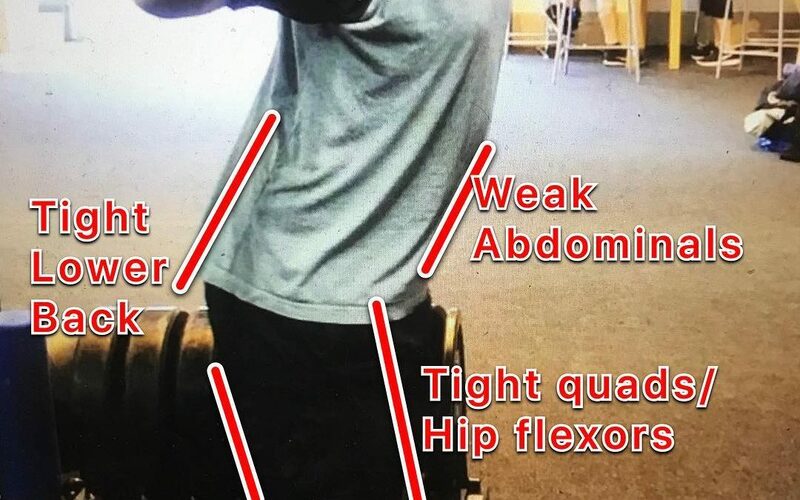 Working to reduce anterior pelvic tilt posture is relatively straight forward. In theory, it should involve strengthening the hip extensor and abdominal muscles and stretching the hip flexor and back muscles.